The existing Queensland state government guidance for councils on planning for sea level rise and coastal weather hazards may be leaving more than just Townsville’s riverside suburbs vulnerable to damage. Flood zone maps of the north Queensland city published in The Australian show that the council had approved a number of new homes and businesses in low-lying suburbs affected by the incident. Townsville council’s once-in-a-100-year flood maps used to approve new developments deemed a number of riverside suburbs that suffered in the recent flood event, such as Idalia and Oonoonba, as suitable and safe to build on. 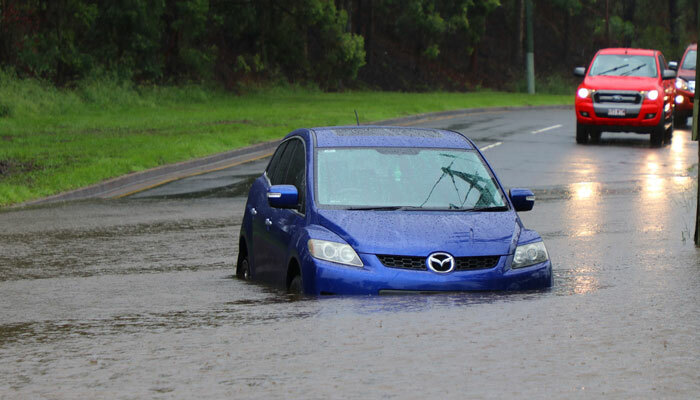 In a response, a Townsville City Council spokesperson said the rainfall and flooding event “unprecedented and significantly” exceeded the levels in the 1 per cent one in 100-year flood level plus freeboard allowance that the planning scheme is based on. The spokesperson also said the planning maps are based on expert modelling of different scenarios, but the monsoonal trough was such an unusual occurrence it could not have been predicted. “We’re not God. We don’t have supreme knowledge. We only have the best science, the bets knowledge we can have,” Local Government Association of Queensland chief executive Greg Hallam said. Home owners will have no legal recourse to compensation if their neighbourhood is later found to be a flood zone, according to Mr Hallam. But even if Townsville’s low-lying suburbs were simply victims of bad luck, the state government’s current guidance on planning in coastal areas may be putting other seaside properties and infrastructure at risk. Rockhampton Regional Council coordinator of development assessment Tarnya Fitzgibbon is doing a PhD on natural hazards like sea level rise in Queensland. She told The Fifth Estate said although the Queensland government offers guidance to councils on planning development in coastal areas impacted by sea level rise – including planning for a 0.8 metre rise – it stops short of mandating its application. She said the failure to draw a “line in the sand” for coastal planning means there is “no real backbone in implementation”. There used to be a stronger statutory policy on coastline planning back in 2011 but this was removed in 2014 and re-instated a few years later in a “weakened” guidance form. Not only does a non-compulsory framework leave room for councils to approve plans and developments in zones vulnerable to sea level rise, but Ms Fitzgibbon said it can compromise the quality of research that planning decisions are based on. Ms Fitzgibbon also said that liability for developments that don’t abide by the coastal hazard guidelines and associated benchmarks is “a bit of a grey area”. She said that as a general rule, councils aren’t liable but “it would depend on specific circumstances”. Ms Fitzgibbon said that it was a priority to iron out the liability issues because development is only going to increase in coastal areas. The state government has invested $12 million to help coastal councils and their communities plan and prepare for storm tide, coastal erosion and rising sea levels resulting from climate change through the QCoast2100 program. The program is in partnership with the Local Government Association of Queensland. Policies vary in each state and council in terms of altering planning rules to prevent properties being built in places that are risk-exposed. In South Australia, for example, there are “strict” state and local government guidelines for planners to adhere to that determine where and how buildings are constructed. According to Planning Institute of Australia state branch president Kym Pryde speaking to InDaily this week, the state is possibly ahead of other jurisdictions on climate change adaptation because of its harsh climate and a slower rate of growth than some of the bigger states. Ms Pryde also commented on the challenges caused by having different levels of government involved in climate change planning policies.